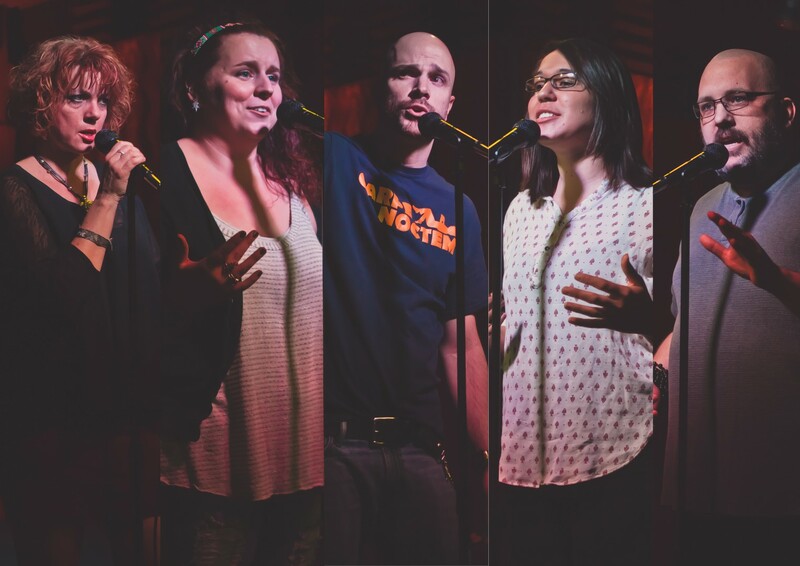 IVINS — A group of Utah poets will be participating in a National Poetry Slam in California in August competing against hundreds of premier performance poets from North America and Europe. To both raise support for the team and afford the community opportunity to enjoy their talent, the Kayenta Arts Foundation brings them together for Poetry Under the Stars 4: an evening of performance poetry at the Kayenta Outdoor Theatre in Ivins July 13. This year’s poets include: Ron Coulson, Darren M. Edwards, Gina Grissom, Erika Larsen and Whitney Shurtleff, all of who have performed locally. “If you’ve never attended a performance poetry event before, you’re missing something very special,” Kayenta Arts Foundation’s Co-Artistic Director Garry Morris said. Guests are invited to bring a picnic to enjoy during the event. Tables will be set up so that everyone can sit back, eat, relax and be drawn into the world of these performing artists. This annual event is always a huge success and always sold out. Each poet shares their very personal interpretations of their own original poetry. All the poets have different styles that represent the unique multiculturalism of our southwestern region. We’re especially excited this year because we have an opportunity to support a local slam team. To help defray transportation and hotel costs, the Foundation is donating half of the night’s proceeds to the team. The other half benefits the Foundation’s new Kayenta Center for the Arts. Kayenta Arts Foundation is a nonprofit tax-exempt charitable organization whose mission is to develop and create an environment that fosters diverse artistic endeavors for educational and enrichment purposes. Poetry Under The Stars 4 is supported in part by Utah Arts & Museums, with funding from the State of Utah and the National Endowment for the Arts. Note: Due to adult content and adult language this event is recommended for mature audiences only. When: Sunday, July 13, 8 p.m.
Out in the dessert against the hills. In the shadows of Totanca earthly un chills. In the dust of the ancient dust devils turn. Scorching in depths morals are burned. They call it the arts as they speak evil sayings. The conscience is frayed like a rope that’s belaying. Carnal man had fallen so low.